Albert Santalo, founder and CEO of 8base, a software company with offices in Miami and St. Petersburg, Russia. 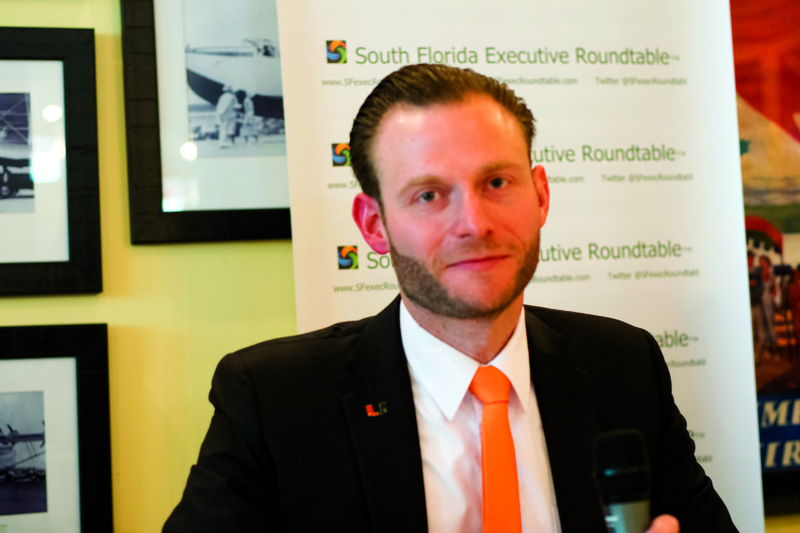 Matthew Shpiner, director of emergency management for the University of Miami. 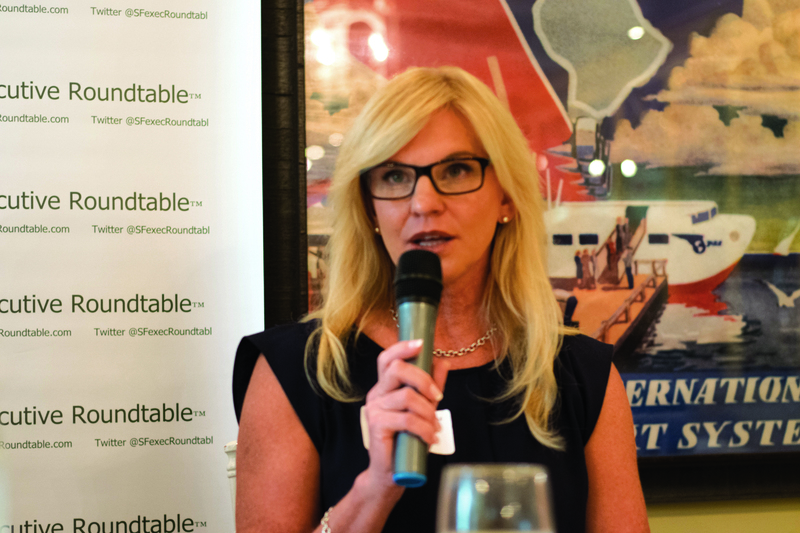 Caroline Fleischer, managing principal at Cresa, a commercial real estate firm with an office in Fort Lauderdale. 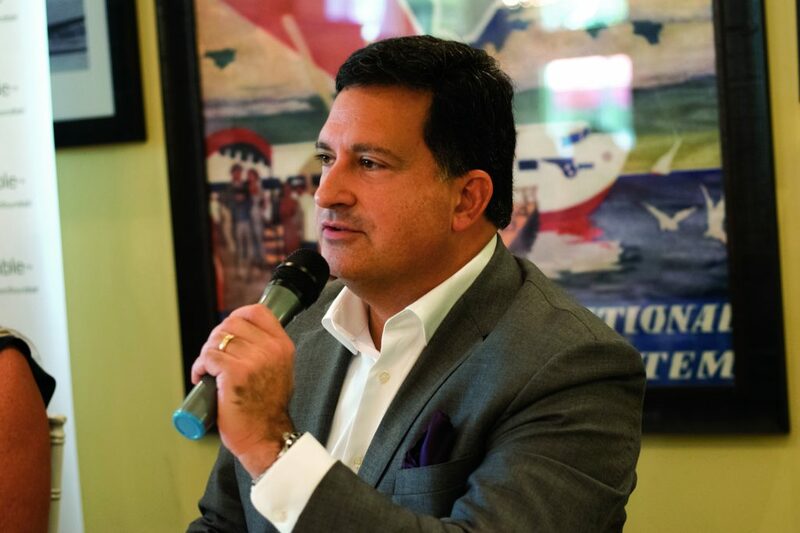 Richard D. Lara, executive vice president and general counsel at Spanish Broadcasting System, a media company based in Miami. 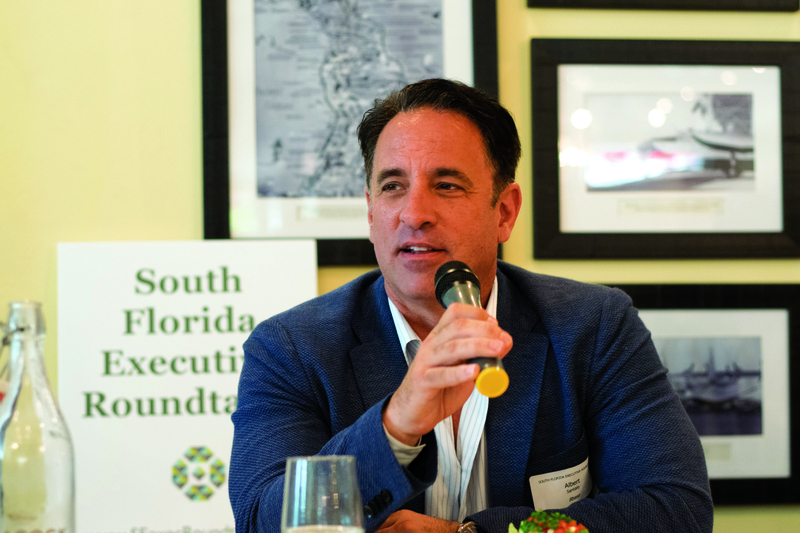 David Appel, managing partner of the Cherry Bekaert tax, audit and advisory services firm, moderated SFBW’s October executive roundtable, held at the Peacock Garden Café in Coconut Grove. 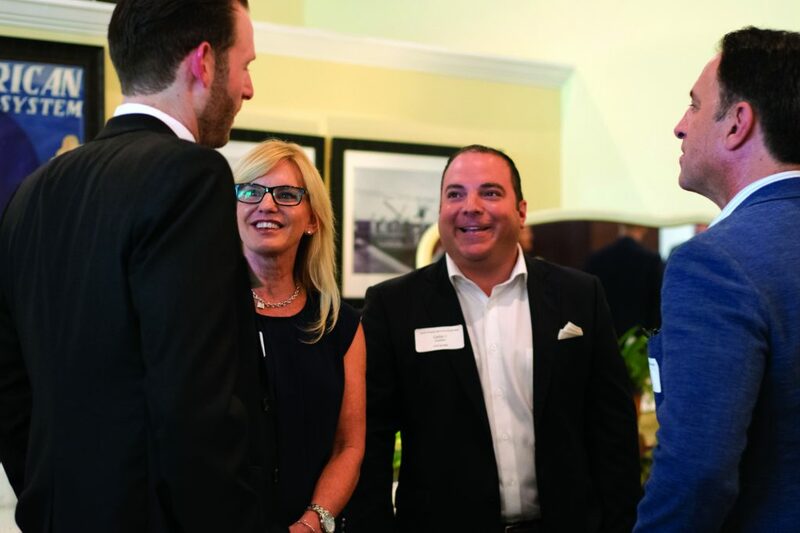 Takeaways from the conversation included how innovation percolates during moments of stress, why some technology companies aren’t diverse, and how building a culture of inclusiveness might retain employees. Success is not always a straight line. If you need to define the role of failure in your organization with a willingness to understand that failure is an option, when do you realize you have to pull the plug on an idea or project? 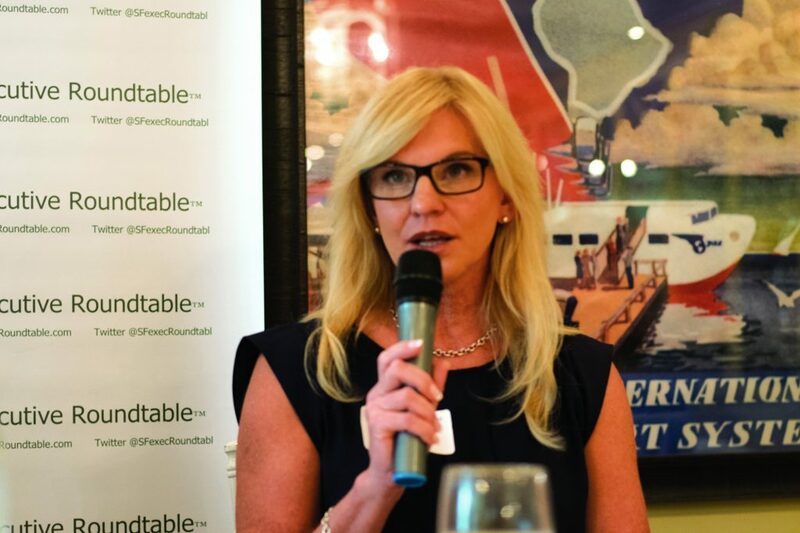 Lara: Our executive committee looks for new hires who have experienced failure because it’s that kind of experience, to us, that says someone is not averse to change and risk if you’ve failed and found a way to pick yourself up. Those risktakers are what the company looks for. 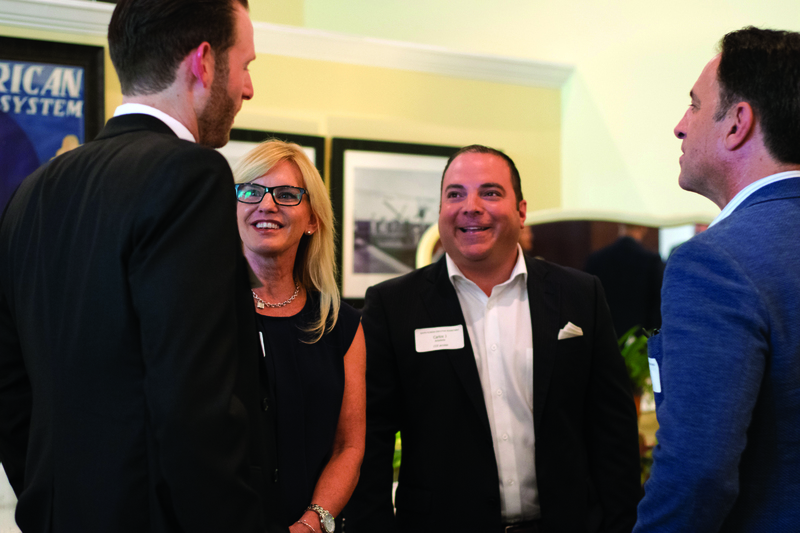 Fleischer: In my industry, a lot of our occupiers are going through major mergers and acquisitions, so the footprint and trying to figure out commercial real estate is sometimes a little uncertain. When I was asked to work with the Revlon corporation, their CEO wanted to be in the hottest market in Miami Dade County. We had a vision of going to Brickell. We transacted the deal. And then a few months later, Elizabeth Arden acquired the company and a new CEO came on board who had a completely different vision. They ended up relocating out of the Brickell location. 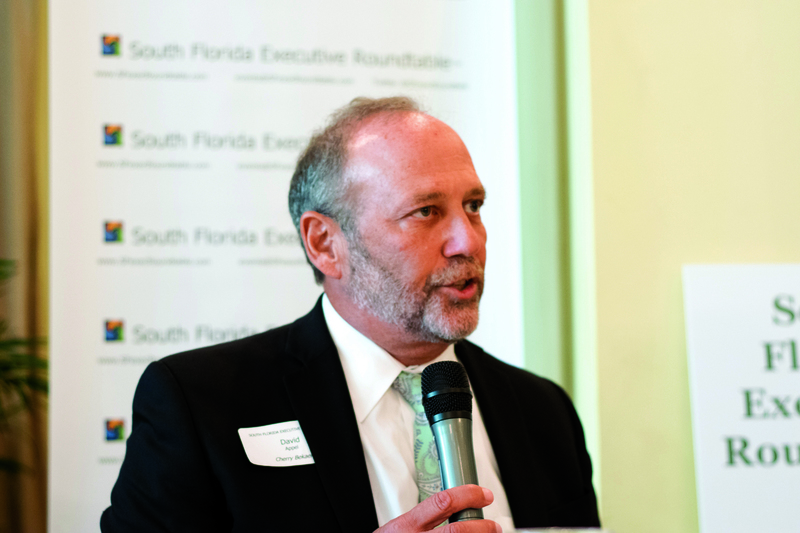 Shpiner: The university had gone through a multiyear enterprise transition program, and the final transition was to take place on Sept. 1, 2017, which was a Friday, and Monday was Labor Day, and then Hurricane Irma came a week later. We were amid chaos and disaster. Even though it was the peak of hurricane season, we couldn’t put all our business on pause for two months. The university came out stronger. People found a way to make things work because innovation and creativity is brought out in times of challenge. Santalo: I’ll comment on this a bit differently. Being in a venture, there are different schools of thought in terms of how you deal with risk and risk tolerance and failure. I like to subscribe to what I call “West Coast thinking.” And at CareCloud, when the company was founded with about $8 million of angel investment, they wanted venture investors and they wanted to find them on the West Coast. It’s one thing to hop on a plane from Miami to San Francisco, and it’s another thing to come back with investors, and we were fortunate enough to do that. The West Coast tends to subscribe to the lean startup model, which is all about experimentation. Jeff Bezos is an example of a person in a large company who embraces this concept. He will tell you about the experiments and failures within Amazon, including the Amazon Fire phone. It was a big failure and they learned from it and they’ve tried other things. What does your organization do to create a culture that fosters inclusiveness, engagement and talent management? Shpiner: At UM, diversity is one of our core values. When we think about hiring, we look at free thought of expression. Our student body is diverse, and so are our employees. That’s what makes us so special as an institution, and we can only do that by having a diverse base that is supportive. Fleischer: We founded a diversity group earlier this year. We have a full committee, and some of our executives sit on it and chair it. Our goal was to get our employees’ input and to support self-expression and nurturing everyone’s work. It’s our philosophy that everyone has a seat at the table and everybody can share his or her views, which I think is very important in retaining employees. And it allows for a more-open environment where people feel as though they are contributing to the overall success of Cresa as a whole. It’s been well-received so far. 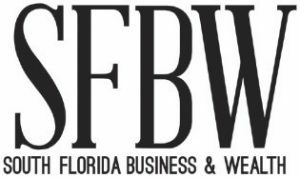 SFBW is the exclusive media partner of the South Florida Executive Roundtable. For more information on SFER, visit SFexecRoundtable.com.